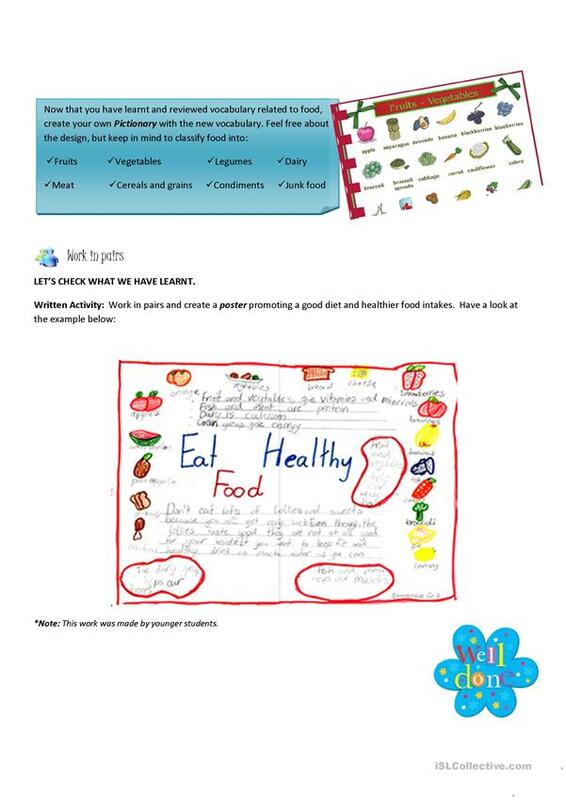 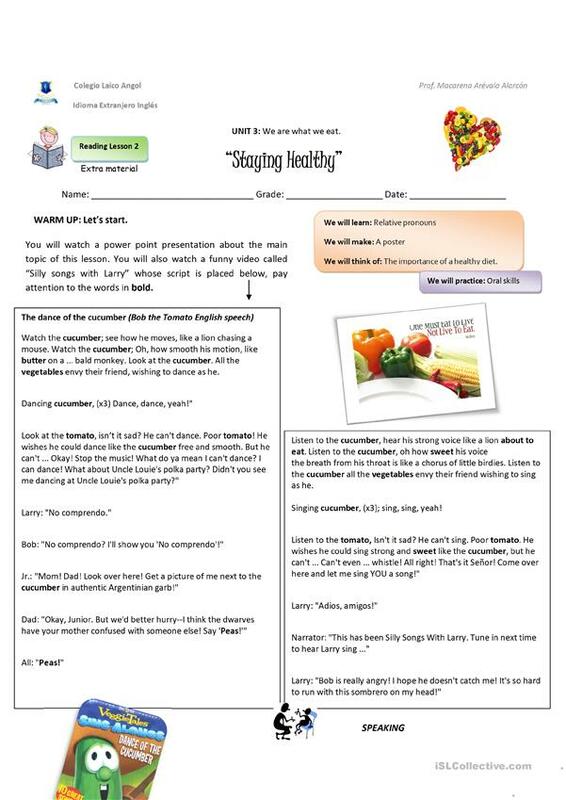 A worksheet on relative pronouns and healthy diet. 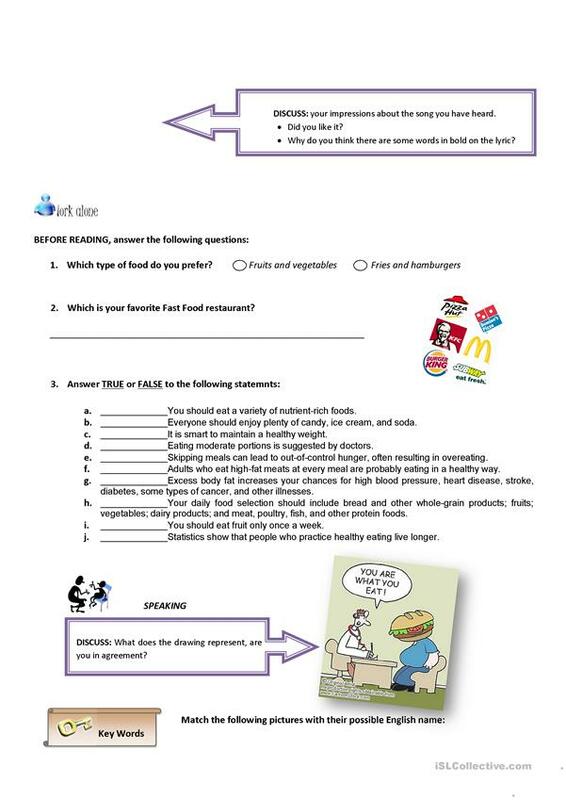 The above downloadable printable is a great resource for high school students at Intermediate (B1) level. 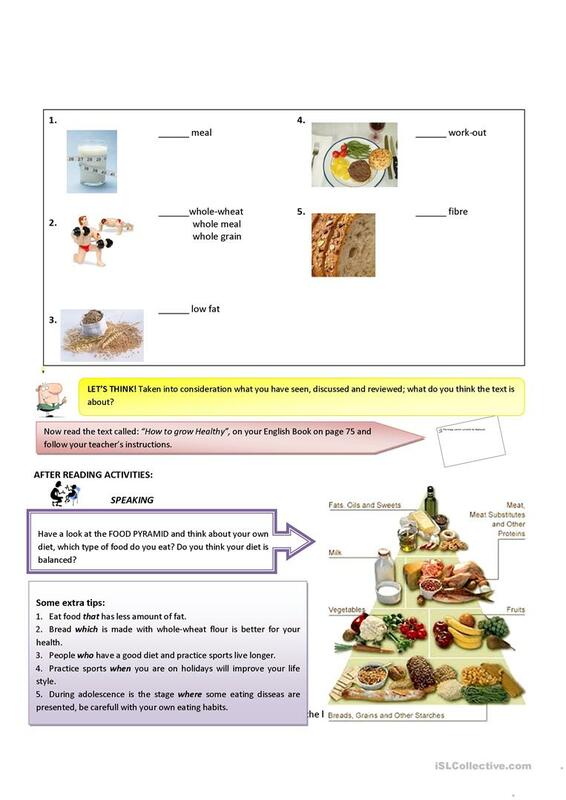 It is aimed at consolidating Relative clauses in English, and is useful for improving your pupils' Speaking and Reading skills. It is about the theme of Food.